The canals are thick enough to support the weight of ice skaters. 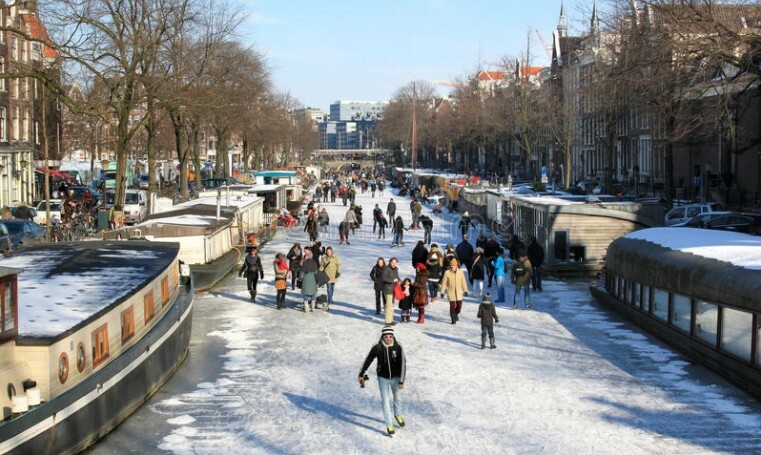 Amsterdam’s canals are frozen as Europe is facing extremely cold temperatures. Locals are celebrating by skating across the ice after city officials deemed it safe. 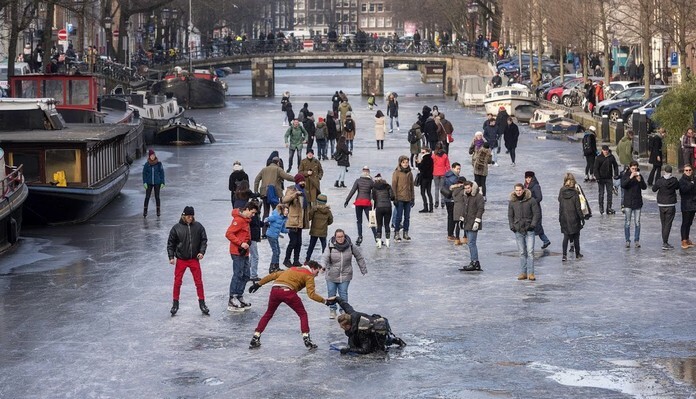 Footage and pictures of the event show a stunning scene of Amsterdam, with one couple even falling into the ice before being pulled to safety. 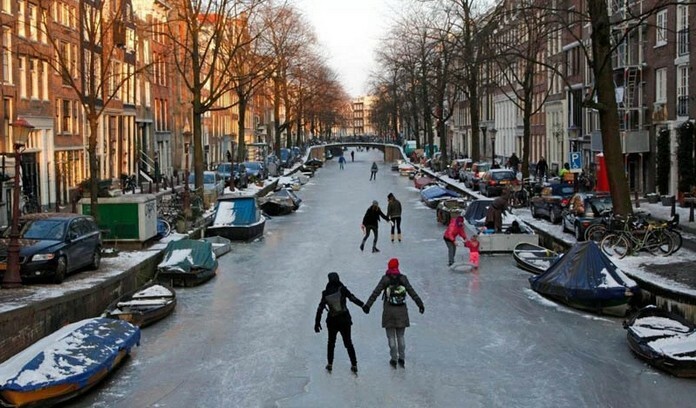 The canals are frozen to a thickness safe enough to support skaters weight. Whether for the memories or to get to certain parts of the city, locals have strapped on skates and ventured via the canals. Some of the footage and pictures from the city show a surreal yet stunning scene. Plus, it just looks really fun. The city deemed the ice safe for skating on the weekend but some people tested their luck before that announcement.